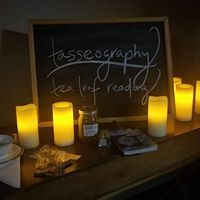 Corrin's approach to Tarot & Tea Leaf Readings provides you, the seeker, with the unique ability to take a seat in the audience of the drama of your life. The cards and leaves become symbols that represent people, feelings and experiences of your past, present, and future. Corrin's readings will leave you feeling empowered and will give your perspective, compassion & direction.